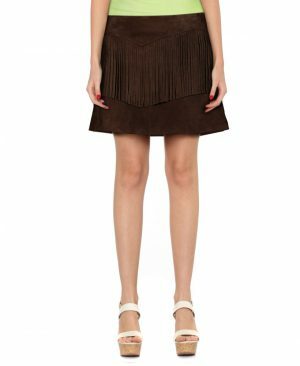 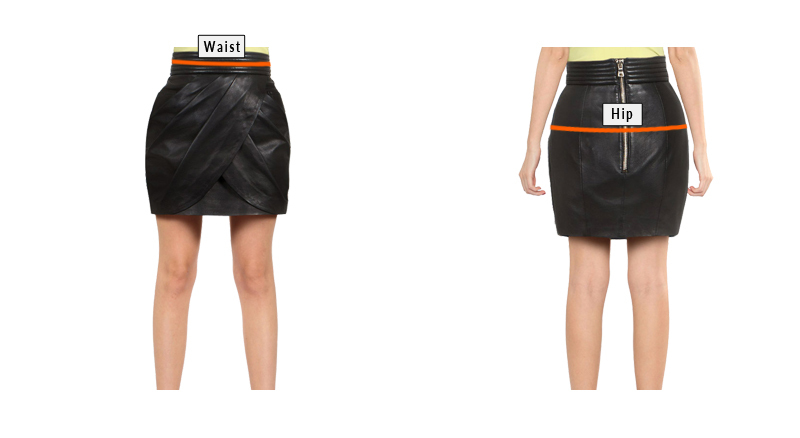 Ooze confidence this season with this fashionable knee length pencil skirt. 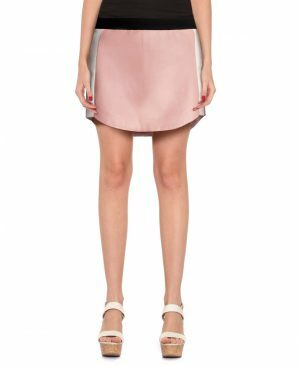 This pastel pink lambskin leather skirt has a ruffled peplum panel, two way rear zip closure and broad waistband for a flattering fit. 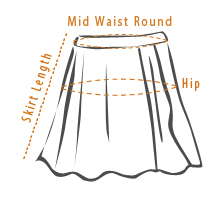 Buy this pencil fit skirt online and complete it with a tucked in shirt to stay fresh and crisp all day long.